Photography and Journey: Colors of Morocco, Land of the Jinns. المملكة المغربية al-Mamlakat al-Maghribiyyah, Kingdom of Morocco. Colors of Morocco, land of the Jinn. Map: Morocco and Sahara whether Western or Moroccan. Two camels kissing, in orange sun? Skull of goat. 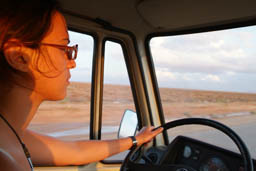 Western Sahara crossing Jan2011. Daniel on Aid el-Kebir 2009. 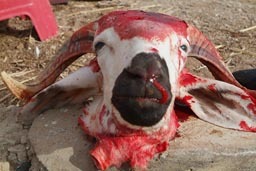 Bloody sheep head, November 2009, Eid al-Adha. Tizzn Tichka with MB 307, Sep 2007. Foum El-Hassane to Guimine, Sep 2007. 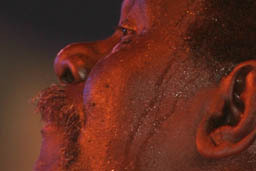 Greg Ford after the Essaouira festival. 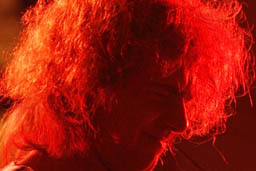 Pat Metheny Trio, Essaouira 2006. Journey with 207, back down south. Chefchouen in the Rif, back in Morocco in May 2006. 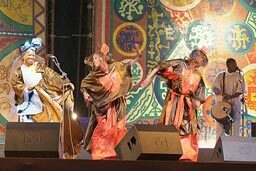 Nainy Diabate, on the Gnaoua Festival in Essaouira 2005. Flo and Anna in Marrakech. Michael, Eddie, ms on our way to Marrakech. Flo and Camera, testing the Unimog in the dunes Tifnit. Testing the Land Rover in the dunes Tifnit. 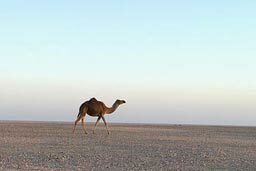 Draa Valley, Mohamed Ali and dromedaries. Friends from the desert, M'Hamid to Foum-Zguid. Desert Sunset and Land Rover. Land Rover, Austrian Flag and Roman, Tifnit. Girls past Teloued on the road to Ait-Benhadou. The Kasbah in Tamnougalt, Rachid. Girls in the Draa Valley carrying palm leaves. Mike and his bike, crossing desert. My Morocco, my entry to Africa. Jinns are the equivalent of ghosts, little devils (diables), that seem to exist almost everywhere in Morocco or at least on people's minds. Originally, part of old Berber religions, they where taken over into Islam, melanged... Africa starts after all in Morocco. Jinns, have the nasty habit of appearing at night. The night is the time when the diables wonder around. Daylight is for men. Anything abnormal is associated with the Jinns, or the Devil. "The Devil does appear!" I was told by Hasna "in women, in animals,...". Moroccans firmly believe in that. Two goats approached our camp, in the middle of the Saharan desert, a black and a white one, after dusk, some thunderstorm had passed our area an hour ago. To me they were mother and child seeking shelter, having got lost in the storm. She uttered some verses from the Koran and to me "Don't touch them, don't speak to them!" She frightened the hell out of me. The goats were still there the next morning, proof they weren't the devil, but goats. Even I was glad when we found them again. Jinns don't show up at daylight. Back from Mexico for another Essaouira Festival 2011. 2011 06 25 Essaouira - a bridge via Miami, Vienna, Madrid. I keep coming back to Morocco, 2009. 2009 11 28 Aid el-Kebir - Daniel tells his story. Again back home after the Italian journey, July 2007. 2007 07 12 Casablanca - driving home after the Italian journey, Sardinia, Corsica, Toulouse, Madrid. A year later back in Morocco Mai, June 2006. 2006 06 25 Essaouira - Festival de Gnaoua. 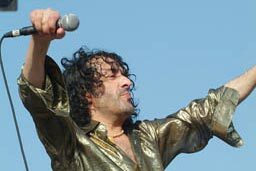 Rachid Taha, Barry. 2006 06 24 Essaouira more - Festival de Gnaoua. Pat Metheny, Hamid El Kasri. 2006 06 24 Essaouira - Festival de Gnaoua. Mahjoub Laghnaoui. 2006 06 23 Essaouira more - Festival de Gnaoua. Mahmoud Guinéa, Ba Cissoko. 2006 06 23 Essaouira - Festival de Gnaoua. Abdellah El Gourd, Gaada Diwane. 20060622 Essaouira - Festival de Gnaoua. H'mida and Hassan Boussou. 20060611 Marrakech - Back in Morocco after Vienna, the eastern Atlas, Algerian border. 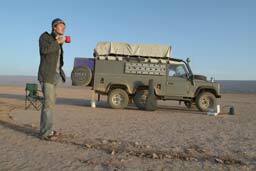 First Morocco adventure, Mar to Sep 2005. 20050831 Agadir - Hasna, and my parents Casa, Marra, Ess and Agadir. 20050729 Tan-Tan - Plage Blanche, Laayoune, Western Sahara. Tan-Tan the desert. 20050711 Agadir - Essaouira Festival de Gnauoa, Agadir Festival Timitar. 20050622 Essaouira - Tanger down via Fes and Casablanca to Essaouira. 20050610 Tanger - Tarifa, 3 month in Morocco. The Dades, Todra, Merzouga trip with Hasna. 20050528 Ouarzazate - After crossing the High Atlas, the journey Marrakech, Demnate, Skoura, Ouarzazate. 20050522 Marrakech - 2 weeks with H.
20050509 Marrakech - after J. Toubkal, the journey Agadir, Taroudant, Imlil, Marrakech. 20050417 Tifnit - beach, 20k south of Agadir. 20050409 Agadir - Tamnougalt, Zagora, M'hamid Foum-Zguid, Tata, Ingherm, Tafraout, Tiznit, Tifnit, Agadir. 20050323 Tamnougalt - 2 weeks with Michael. Marrakech, Essaouira, Agadir, Ouarzazate and first dessert crossing. 20050315 Marrakech - Morocco, Michael and a different world all together. Eid al-Adha, Aid el-Kebir Nov 2009. 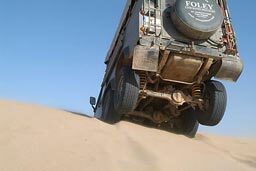 Merzouga trip. Jun2005, meeting Hasna.